Hello there....happy Wednesday! 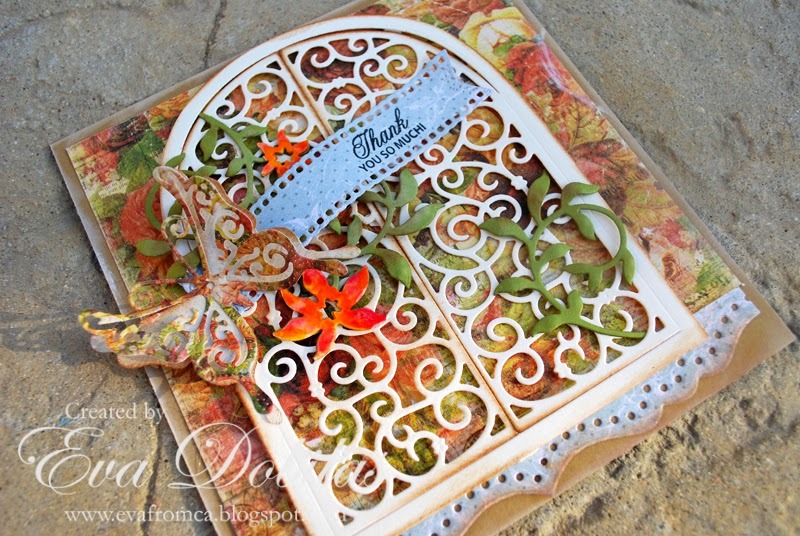 Today Cheery Lynn Designs is releasing brand new dies! Make sure you stop at the shop to check them out and on the Cheery Lynn Designs Blog to see lots of gorgeous inspiration created by our design team using brand new! So let me show you the card I created for today. I started out making a 5.5" card base, than I cut out the gorgeous Wrought Iron die cut to make it as the focal point of my card. I also wanted to use the new Curved Border Set, so I created a border with it. I love how you can make different look borders with it. I also used the new Leafy Flourish dies, which I cut two of, one with green card stock and one with white, as I wanted to use the flowers, which I water colored. I stamped my sentiment, which is by JustRite Papercrafts from their Floral Basket Clear Stamp set onto another brand new die called Pierced Banners. Finally I added a butterfly from the Small Exotic Butterflies #1 w/Angelwings. 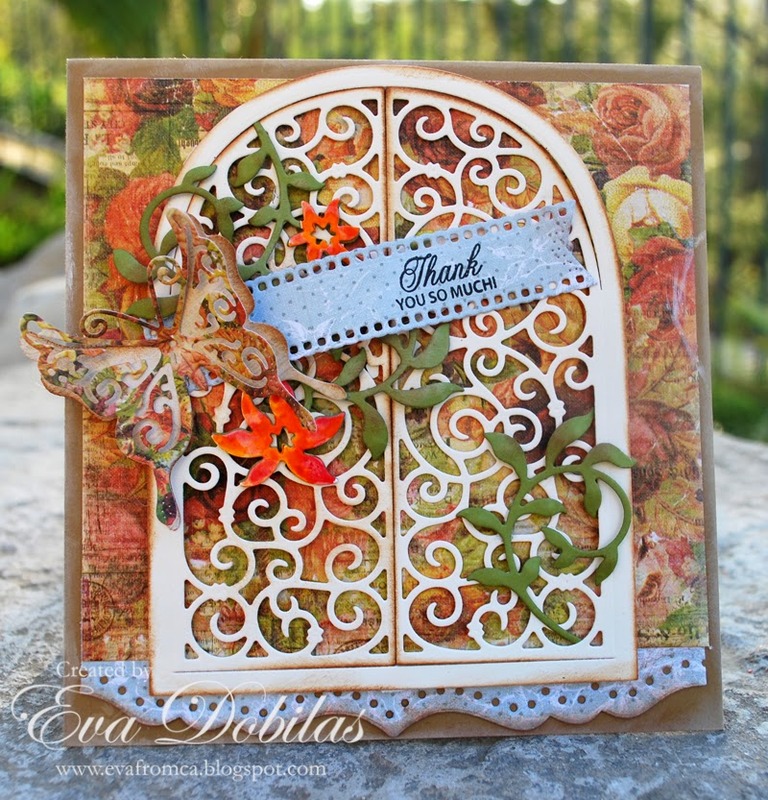 Thanks for stopping by and make sure check out the Cheery Lynn Design Blog to see what our design team created using the newest dies.